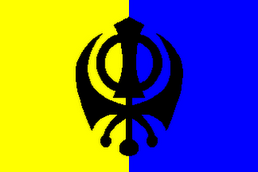 THE ROAD TO KHALISTAN: CELEBRATE VAISAKHI BY SUPPORTING SIKH IDENTITY IN THE US MILITARY! CELEBRATE VAISAKHI BY SUPPORTING SIKH IDENTITY IN THE US MILITARY! A Sikh brother from Florida who is a Vietnam vet, Fateh Singh, has written the below letter to the worldwide sangat. He suggests that we all write to top US Government officials, starting at the top with Pres. Barack Obama. 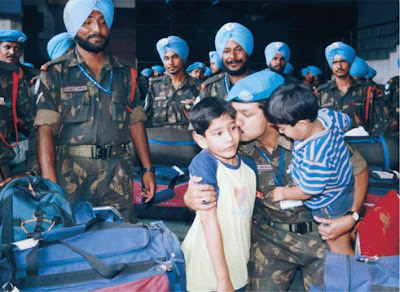 Make them see that supporting the Sikh identity in the US military will actually strengthen the country, as well as uphold the freedom of religion that is guaranteed by the Constitution. 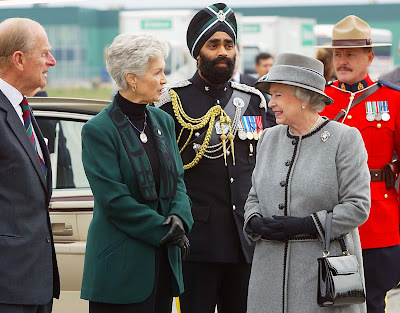 Take a good look at the Sikh soldiers. We are an impressive-looking bunch. 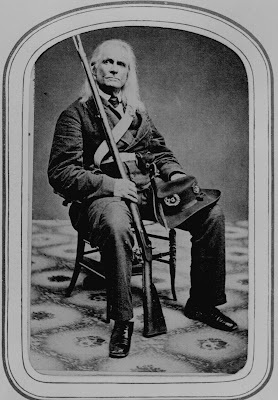 And the Civil War pictures show not only have beards and long hair been accepted historically in the military, but men actually look much handsomer. After writing your letters, please go to and sign the Sikh Coalition Petition. Once again the American military is trying to prohibit bearded and turbaned Sikh-Americans from serving their country in these troubled times. 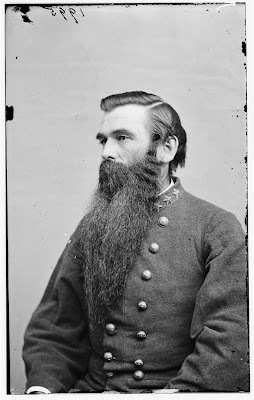 They say that there must be no beards and no conspicuous religious apparel worn in the military given the separation of church and state. This is not an explanation – it is an excuse. Yet, every few months there is another scandal regarding the promotion of Christianity at American military academies and at American military bases around the world. The turban is far less intrusive! If only our political and military leaders would realize the contribution that Khalsa Sikh-Americans could make in terms of medical; legal; computer expertise, as well as a history of battlefield courage. If they did, narrow-minded policies might change! We all have to get involved writing to our American leaders and educating them about Sikh history as well as American history. 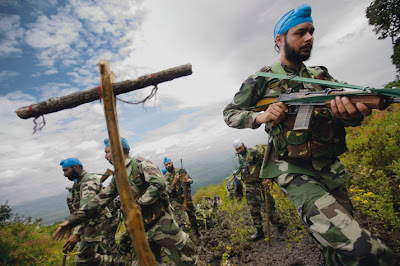 Look at what Sikhs have done as United Nations peacekeepers all over the world: from Lebanon to the Congo. The world would see that America really does respect Eastern cultures and religions. One Sikh soldier in an American uniform would have a positive impact equivalent to an entire division!!! 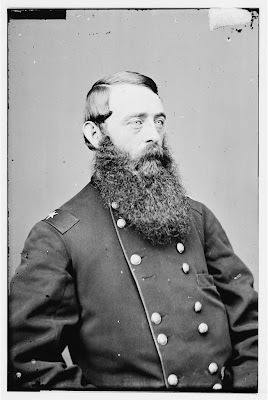 There is no evidence that facial hair or head hair ever interfered with military effectiveness!!! Thanks for sharing the great photos of Sikh soldiers. British? Of course, guarding the Queen. The picture was taken in Canada, as is indicated in the line immediately above the picture. 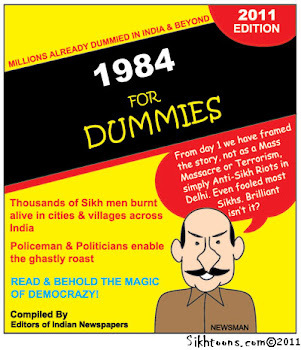 In fact, I posted no pictures of American Sikhs in this post. The USA doesn't even respect its own citizens! To be truthful, I cannot for the life of me figure out why any Sikh would want to aid the USA in its current spate of illegal, immoral, useless wars, but I do believe they should have the opportunity, if they want it.